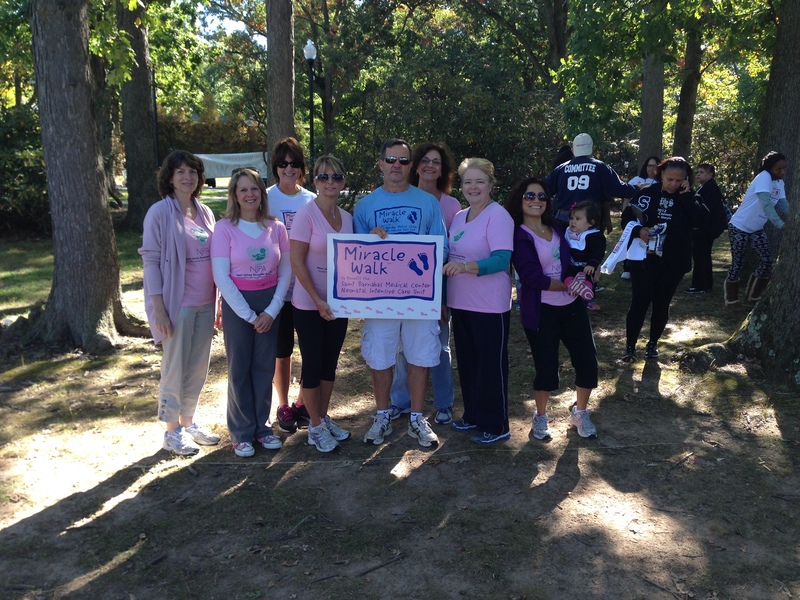 On Saturday, September 28, 2013, members of NJ Perinatal attended the 13th annual Miracle Walk in honor of the Saint Barnabas Medical Center Neonatal Intensive Care Unit (NICU). Over 2,500 participants met up in Verona Park for a wonderful day of walking and other fun activities. Participants include former NICU patients with their families and friends, as well as nurses, physicians, and other care givers. 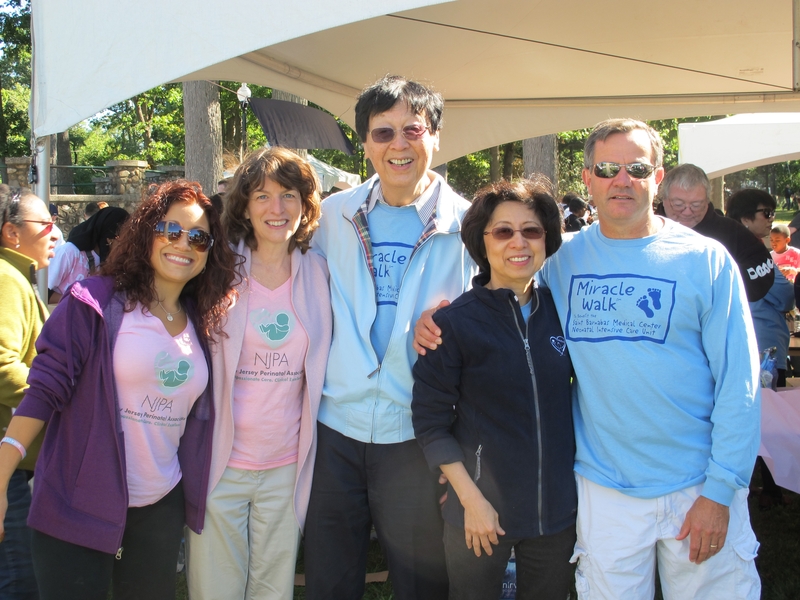 The Miracle Walk is held annually in order to raise funds for the SBMC NICU, and more than $4 million has been raised since it began 13 years ago. New Jersey Perinatal was honored to be a part of this wonderful event helping to make SBMC one of the best places for high risk pregnancies in the country. Below are the photos of NJPA walking team, and Drs. Wolf, Warren, and Kasdaglis with awesome NICU doctors Dr. Sun and Dr. Kamtorn.